Professional athletes understand that community involvement is a part of the job. But for some of them, it means a whole lot more. Just entering his 3rd season, Oakland Raiders Wide Receiver Rod Streater has made a name for himself this past season with a recorded 60 receptions and averaging 14.8 yards a carry. Like his fellow players, he does his work in the community. However, for him it has become about more than required participation – it is a staple of who he is and what he represents. Streater participates in flight simulation activity with youth from Oakland Roots International Academy at Chabot Space and Science Center. 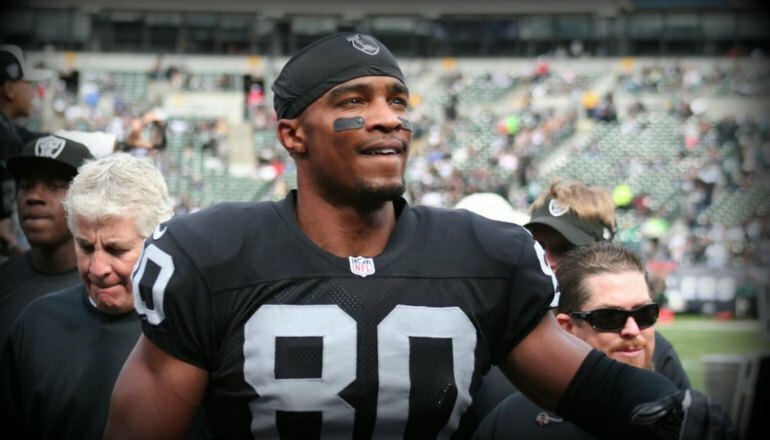 He launched The Rod Streater Foundation last week with a mission to create a platform to inspire potential and impart leadership values of respect, responsibility and positive attitude among local youth. His love of science, especially astronomy, made it a natural to launch his Foundation at the Chabot Space and Science Center. “I’ve always loved to give back… [and] this is what I have a passion for,” he said. Streater invited sixth- and seventh-graders from Oakland Roots International Academy to participate in a two-hour flight simulation project. Role-playing a trip to Mars, the youth worked to ensure the safe trip of fellow astronauts by evaluating air quality, pending meteor showers, and other circumstances that could impact their mission. Streater has partnered with the Silicon Valley Community Foundation, one of the Bay Area’s top philanthropic organizations, to bring the program to life and ensure optimum success of the participants. Streater says he wants to reach as many youth as possible to inspire them to continue to dream. “It’s not where you begin, it’s where you’re going to end up. We all go through adversity. It’s hard times out there chasing your dreams, but adversity and hard time is what makes you,” he said.